It has only been almost three months into 2018 and I felt as though I have ran a year’s worth. I am exhausted. I see the same exhaustion in many of the members in my church group. Yet, there is still so much more to be done. When I related this weariness to my spiritual mother, first thing she said is “keep the sabbath”. Not a reply I expected. Took me a while to let it sink in. When it did, it was the best and most practical advise anyone can give with regards to exhaustion. Not sure about you, I have always thought the fourth commandment of the ten commandments (Exo 20:1-17) about keeping the sabbath a little odd and out of place among the other nine. All the nine makes total sense to me and I wondered what is the big deal about the Sabbath to make it to DE ten. I caught a glimpse of why when I read Numbers 15. I am going to quote Numbers 15:32-41 here as it was the key passage that brought understanding to me. 32 Now while the sons of Israel were in the wilderness, they found a man gathering wood on the sabbath day. 33 Those who found him gathering wood brought him to Moses and Aaron and to all the congregation; 34 and they put him in custody because it had not been declared what should be done to him. 35 Then the Lordsaid to Moses, “The man shall surely be put to death; all the congregation shall stone him with stones outside the camp.” 36 So all the congregation brought him outside the camp and stoned him to death with stones, just as the Lord had commanded Moses. I find it really harsh for death sentence when the man was just gathering wood on the sabbath day. No harm done to anyone. In fact it was productive and necessary work. What is it about sabbath that God takes it so seriously. Note, the judgement of death was from the Lord directly as the people did not know what to do with him. To understand God’s heart in this, verses 37-40 are key. 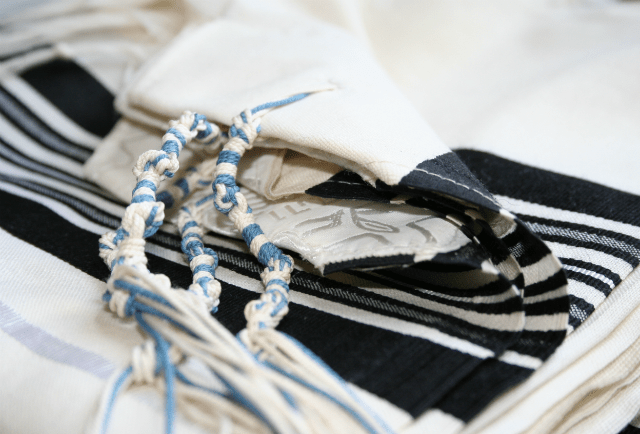 It is interesting that the blue tassels (the Jewish calls them tzitzit on their prayer shawl called tallit) on the prayer shawls that the Jewish people use was instituted after this incident of the sabbath breaker. The purpose of the tassels is to visually remind them to obey the commandments to prevent harlotry. Harlotry, I believe refers to spiritual harlotry i.e., idols. For the nine commandments, they are quite instinctively against idolatry. What does keeping the sabbath have to do with harlotry? Sabbath is the day in a week whereby God specifically says it is holy unto the Lord (Exo 16:23). It is consecrated to Him. Meaning we cease our daily activities to focus and spend time on Him. It is His day, literally. The Lord takes this commandment and commitment to Him seriously. When we are not able to withdraw ourselves from our world to Him, our world takes His place of importance in our lives. Anything or anyone who takes the place of God in our lives is an idol and it leads to halotry, a dishonoring of God. Of course there are other reasons why keeping the sabbath is good for us as it is the rhythm of life God has set and God rested on the seventh day during creation and so we should. I will not go into these in details as my focus here is the fourth commandment. Like any of the other commandments, there are blessigns and benefits in obedience. Yet it is important to understand the heart of God behind His Commandments. Jesus could sleep in the storm because He was certain of His authority over it. On the flip side, the storm obeyed Jesus because it was unable to ruffle His feathers. In a way, Jesus had to sleep to calm the storm, demonstrating His complete restedness in God. Perhaps this is not a show to the storm but a lesson to us about the restedness in God despite circumstances. This peace is power in the Kingdom of God. Nothing can shake His people if we grab hold of this peace, not even in the strongest and most devastating storms. It is not just silence or absence of conflict. But one that is completely rested in God’s sovereignty over creation and the devil. Peace I need. Peace I receive.